In Bible studies I have taught and in ministry, I have told others to keep their eyes on Jesus. I have claimed keeping your eyes on Jesus as an important part of your walk with God. Now, He was waking me up in the middle of the night to make sure I kept my eyes on Him. Not knowing exactly why He was telling me this, I decided to dig into His Word for clarification. He led me to Mark 5:25. In this story, Jesus, surrounded by a large crowd, was on his way to heal a dying child. On his way, a woman, who had been sick with bleeding for twelve years, came up behind him and touched his cloak. She had been to doctors for help and spent all she had but only got worse. She knew if she could only touch Jesus’s clothing, she would be healed. She wasn’t bothered by the large crowd surrounding Jesus. Her focus was Him. The instant she touched his cloak, she was freed from her suffering. Jesus told her, her faith had healed her. This woman was at the end of herself. She didn’t have any where else to go for healing or know anything else to do. She had a problem no one could solve. She needed to reach out and touch Jesus. She didn’t care she had to fight through the crowd to get to him. Her only concern was getting to him. Sometimes, we need to reach the end of ourselves and what we can do. It is at the end of ourselves we find Jesus is who we need. Are you at the end of yourself? Do you feel you have no place else to turn because all you do seems meaningless? hopeless? Do you need to reach out and touch Jesus? Jesus is waiting. You may think he’s too busy caring for others. As you read in this story, Jesus was on his way to help a dying child but stopped for this woman and healed her. He will stop for you too. He wants you to come to him and be healed. After reading this story and thinking about my life, I realize I come to the Lord with strong faith and believe. Then, I take my eyes off of him. My attention becomes focused on what is or isn’t happening around me and what I can do to fix things. I miss him in the “crowd” of my worry and hopelessness. Maybe you are praying. You know God hears you, but nothing is happening. Maybe things are getting worse. 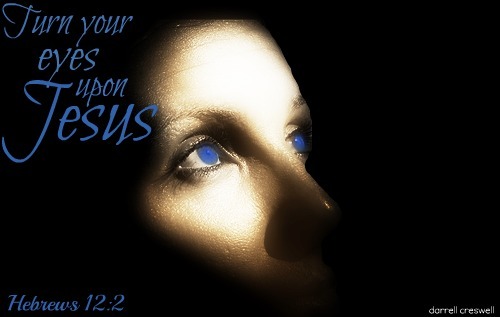 Jesus tells us to hold on and keep our eyes on him. No matter what is going on around you, keep your focus on Him. God is faithful and will answer our prayers. I grew up the majority of my life with my sister and my mom. From my toddler years until the age of six it was the three of us. I had a step dad for four years, and then it was back to the three of us again. In fact, it wasn’t until I was out of the house in my college years that my mom remarried again. This marriage only lasted a couple years. Now the good end to this story is that my mother is now happily married to an amazing man and has been for almost 20 years. He is a gift to her, to me and to our family. However, the absence of my father the first 25 years of my life affected the rest of my life and my heart. Maybe you have a daddy wound like me? Maybe your daddy chose a bottle of alcohol over you just like me. Maybe he chose something else or maybe it wasn’t a daddy wound at all. Maybe for you something else was stolen from you that broke your heart. As a result of these early years I made many promises to myself. Promises like I wouldn’t struggle to provide for myself or my family; I won’t rely on anyone but myself; I will need no one; I will be in charge and on top of things; I will be the person who knows how to get what I want; I will control my relationships and most of all I refuse to be vulnerable. What I did not realize until much later in my life is this killed my hearts longing for intimacy all so I could be safe and in control. What hurt in your life has caused you to make vows such as these or others so you could be safe and in control. You see, the reality in doing this, like me, means there is nothing merciful about the person you become, nothing tender and nothing vulnerable. One day you too will realize that by living this life you are refusing to trust God. Has it ever dawned on you that perhaps this life you are leading has come with much cost, but most of all something precious that God has put inside of you has been lost? God wants us, as he says in Hebrews 12:14, “ to make every effort to live in peace with everyone and to be holy.” Peace was not a word I ever thought about but something I so longed for. Do you realize when we walk in peace and holiness as God’s daughter’s, people see God? That is the power of walking in peace. No wonder the enemy brings us into chaos and causes us to build walls. The enemy wants to isolate us and our hearts. Living in peace begins within us. It involves being vulnerable with God and trusting him with your heart. This is only half of it though. Living in peace and harmony is the first part of the scripture and where it has to start, but the scripture goes on. Hebrews 12:15 “We must see to it that no one falls short of the grace of God.” Gulp right? No one. That meant my dad, and others who were in my path and in my life. I had to forgive. I had to release my dad to God. I had to release the pain. By releasing the pain, I was able to live in this peace God talks of and realize offering grace isn’t a chore. It is a gift and an honor to be able to give. The reality is, without Christ, we wouldn’t have grace. 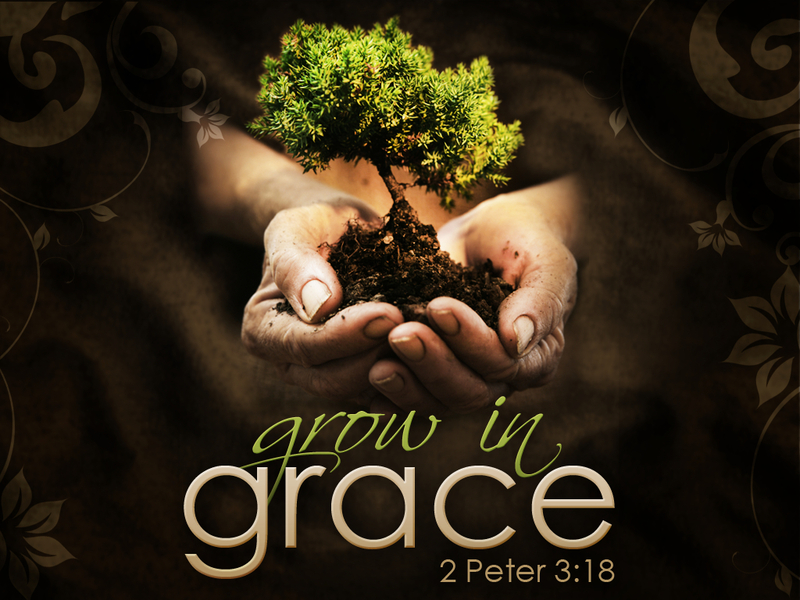 I know I personally, desperately need grace daily, so I better start extending it as well. Who do you need to offer grace to today? Don’t be like me. Don’t wait for that bitter root to grow up and cause trouble and defile many like I did. God wants to bring good from all of your life. All you have to do is turn to Him. Don’t push away God’s provision. We have a choice. We can choose bitterness out of our defense system or we can choose grace and forgive and release. Choose grace my friends, choose grace. Prayer: God, we thank you that we don’t walk this world alone. We don’t’ walk through struggles and face pain alone. The times in our life when you do not calm the storm, Lord, you walk with us through it. Thank you Lord that your heart broke with mine because you are that kind of God. Lord, help us realize each day we can walk in peace and be holy because of you. Thank you for giving the gift of grace to me and helping me share it with others. Most of all God, thank you that it is never too late. We are never too messed up for you to save us from ourselves and the lies we have bought from this world. For those who are reading this today and need to receive your grace for themselves Lord, for them I pray a double portion. Lord help us to recognize you and release us from how we have judged you and ourselves. In Jesus name, Amen.